Are we being too subtle with the image here? Do you think people will get it? Who dares call anything impossible today? Not when research scientists are constantly seeking and finding new wonders to improve the way you live. ONLY A DREAM YESTERDAY… reality today. 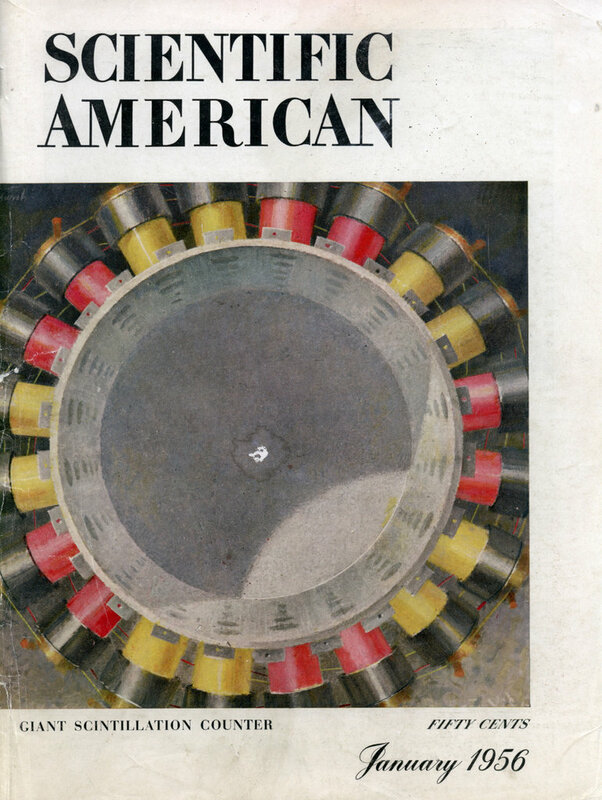 A generation ago, Union Carbide scientists began taking oil and natural gas apart and putting the pieces together again in ways unknown to nature. The result? A steady stream of entirely new chemicals … an average of one a month for the past 25 years. The benefits of these petroleum chemicals are everywhere —man-made textile fibers, amazing plastics, life-saving wonder drugs, enduring paints and enamels . . . the list is endless. NOT ONLY CHEMISTRY has felt the touch of Union Carbide research. Alloying metals that make possible stainless and other fine steels, oxygen from the air for medical and industrial use, a variety of carbon products—all have been developed, made better or more abundant through UCC research. AND THE MOON? 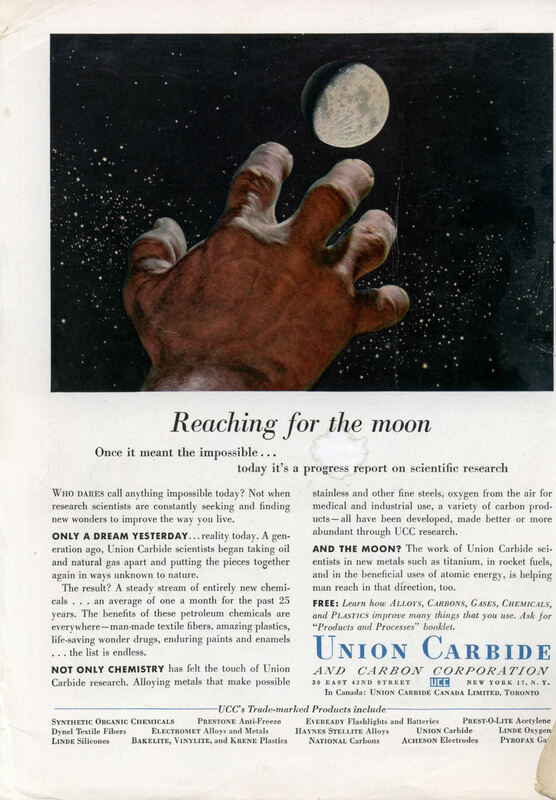 The work of Union Carbide scientists in new metals such as titanium, in rocket fuels, and in the beneficial uses of atomic energy, is helping man reach in that direction, too. FREE: Learn how Alloys, Carbons, Gases, Chemicals, and Plastics improve many things that you use. Ask for “Products and Processes” booklet.